eBay is a great website to find little gems on it and recently during my few little purchases (find here and here) I decided to pick up something in hopes that it would make cleaning my brushes less time consuming and all over just easier. I picked up a little silicone mitt called the Brush Egg. Personally I had only ever seen this product once on Instagram back in Summer of last year and have never read a review about it or anything but thought to myself how bad could it actually be?! 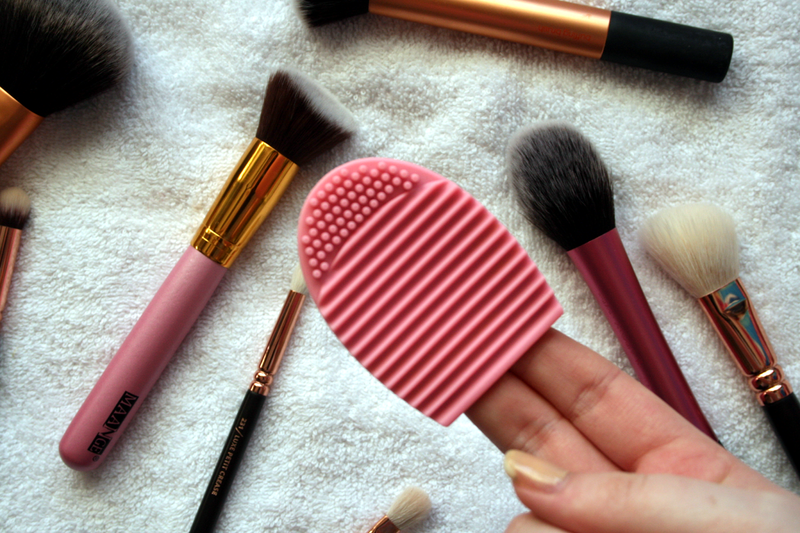 The Brush Egg is a silicone mitt small enough to slot in two fingers to hold it and has two different textures on the glove to help give the brushes a good clean. The bigger grooves for face brushes and the small dots for eye brushes. I'm dreadful when it comes to cleaning brushes I will admit, I hate it as it takes too long and my hands feel like sandpaper after washing them all. I definitely don't wash them as much as I probably should and just regularly use a brush cleaner spray on them after each use. However when the Brush Egg arrived through my letter box I couldn't wait to give it a try and washed my brushes that night. It was definitely worth picking one up as it took me only half the amount of time I would usually spend on cleaning them all and they were all clean within seconds. This is definitely a great thing to have if you're like me and don't exactly want to spend big money on the likes of the Sigma gloves or mats. 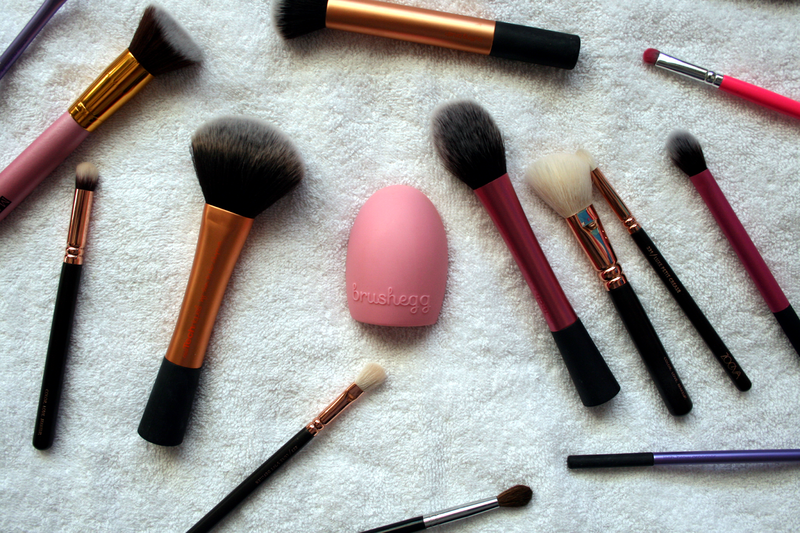 The Brush Egg comes in three colours, so you can choose from baby pink, mint, purple or black. The best part was this only cost me €1.34! Yes that is all amazing right and of course free shipping was included. If you're interested in trying this product you can find it here. Also an update on the two brushes that are linked at the start of this post, they both washed really well and didn't shed at all. They also went back to their shapes perfectly! 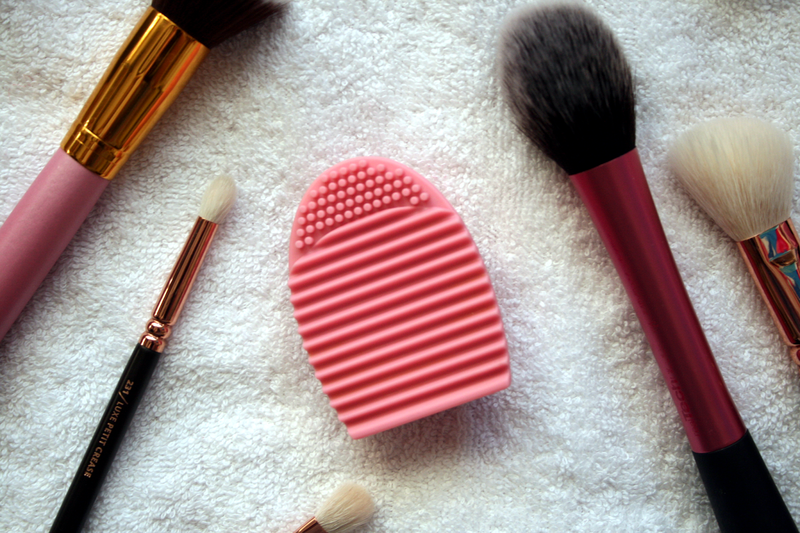 Do you use any tools to clean your brushes with? I love ebay, you never know what you can find! This is now definitely on my 'to buy' list! Thanks for sharing an awesome find :-)! OOOOOO I need to try this little bad boy out! I purchased one of these too and love it! This is sooooo helpful. I just started getting into makeup and I've been worried how to clean them. I love you all so much and I get mistaken for chantel all the time. You are all so beautiful and smart and funny and I love you all so much!Read about the How to maintain Formula bottle cleaning brush?. Thanks!